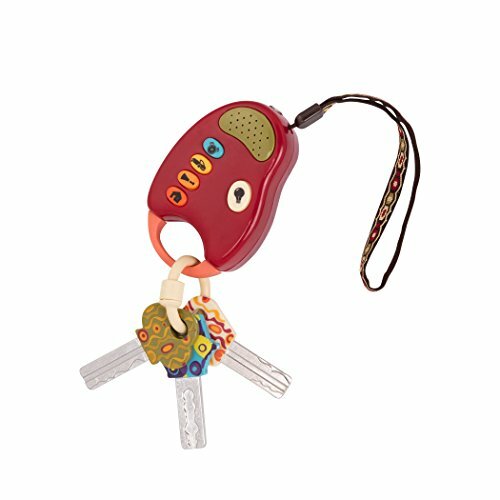 Does your little one constantly grabs for your keys? Well now they can have their very own set that looks just like yours…they won’t even know the difference. 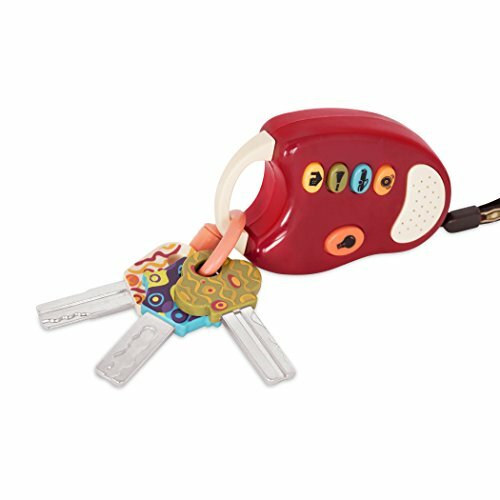 These keys will trick your little one into believing they’re the real thing. 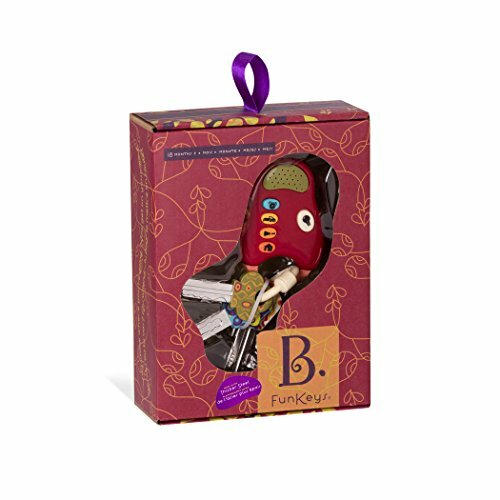 With bright and engaging colors, they will love to push all the fun buttons. 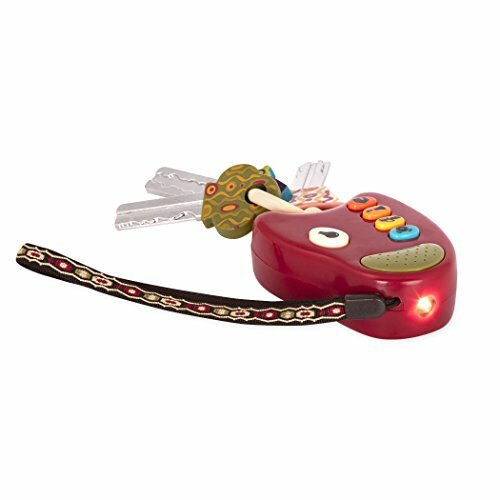 With 4 different car sounds and even a working light your little one will love to push on them all day…Don’t worry the sounds were designed to go easy on the ears. These keys are that cool that you’ll be wishing yours were this cool!Start your engines. Start your teddy bear. Start a party. Whatever. Just don’t forget where you park your make-believe car. Four fun car sounds designed to go easy on grown-up ears. Easy to take on the road with you to entertain baby. Just toss it in your diaper bag. Chewable and teethable, they’re phthalate-free and BPA-free.